Elizabeth McIntire (formerly Eyerer) began her career in the arts, first studying Theatre at Smith College, and then receiving her M.M. in Vocal Performance at the New England Conservatory. She discovered Crossinology® Brain Integration Technique (BIT) in 2007, when a friend suggested that she give it a try for help with anxiety. Elizabeth’s experience receiving Brain Integration provided the impetus for her career as a BIT practitioner. After she was integrated, tasks that had previously been difficult: multi-tasking, organization, and reading comprehension, were suddenly much easier, and her daily anxiety was gone! This profound shift in her brain processing was especially noticeable as Elizabeth observed her classmates in graduate school. Under the grueling lens of conservatory training, it was easy to see how people behaved under stress, and how much of that behavior was far outside their conscious control. In BIT, Elizabeth found a modality that would allow her to help people with many different kinds of brain stress function at their best. Elizabeth studied Crossinology Brain Integration Technique (BIT) with the developer of the work, Susan McCrossin. In the course of her study, she completed more than 50 hours of pre-requisite kinesiology training, 60 hours of pre-requisite kinesiology case studies, 132 hours of training in BIT, and 120 hours of BIT case studies. She went on to complete all of the advanced training in Brain Integration: Brain Physiology, Advanced BIT, and Muscle ReActivation. 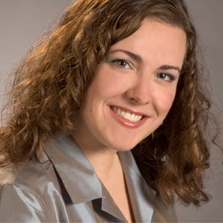 Elizabeth received her certification in Brain Integration from The Learning Enhancement Center in November 2009. Elizabeth has gone on to study the Learning Enhancement Acupressure Program (LEAP) with the founder and developer of this work, Dr. Charles Krebs. In addition to her continuing education in Brain Integration, Elizabeth has also studied a wide variety of complementary modalities, so as to offer her clients the best experience possible. Elizabeth has studied Integrated Healing with Mathilda van Dyk, Central Inner Alignment and Vibrational Touch with Carla Muth, Somatic Emotional Acupressure with Joy DelGiudice, and MNRI® Dynamic and Postural Reflex Pattern Integration with Tawni Lawrence.